The Lord Lieutenant’s Fund for Youth, which is administered on behalf of its trustees by CCF, supports gifted under-23s in Cornwall so they are better equipped to reach their potential. 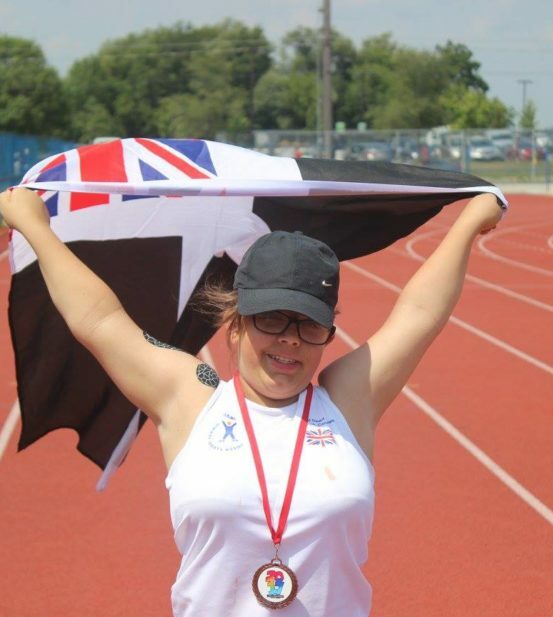 One young Cornish athlete supported by the Fund has recently achieved international success. Abigail Birch is a very inspirational young lady with an exceptional talent in athletics specialising in javelin. Abigail was selected as part of the GB Team to take part in the World Dwarf Games, in August 2017. The Lord Lieutenant’s Fund for Youth recognised Abigail’s outstanding talent and financially supported her to take part in the Games being held in Canada. She commented “I had hard competition and fought well against the Canadians and USA. I managed to bring home to the UK 5 bronze medals and a silver in my individual and team events. Helping to add to the GB medal tally placed GB 2nd in the medals table”. On her return she was advised she had been selected for the National Schools Games Final in Loughborough, being just 14 she was the youngest and competing against others 3 years older than her. She came home with both gold and silver medals in both her events. The week before she became the UK disabled national age champion at Bedford competing in Javelin and Discus and also achieving a silver medal for the shout put.